Apple’s Everyone Can Create curriculum has been made available in German, French, Spanish, and Italian via Apple Books, the company has announced via press release. The curriculum is already proving popular at many schools throughout the world, although it was only available in English previously. Everyone Can Create will also become available in both Swedish and Dutch this spring. Apple says that Everyone Can Create is now available to anyone who wants to download it via Apple Books, with Apple Stores using the curriculum in their own Today at Apple sessions. It’s popular, too, with more than 40,000 students and teachers attending sessions on art and design, photo and video, and music. Everyone Can Create builds on the success of Apple’s intuitive Everyone Can Code curriculum, which is already being taught in schools around the world, including hundreds of European institutions. Coding has transformed the global economy and created millions of jobs, and the curriculum, which uses Apple’s easy-to-use programming language Swift, allows all students to learn and prepare for the workforce. Apple continues to make educational content available to those who want it, and this is another example of expanding existing programs to make it possible for more and more people to enjoy them. With a 40 year legacy in education, Apple has transformed the way teachers teach and students learn, with powerful products, curricula and technologies that engage and inspire everyone in the classroom. 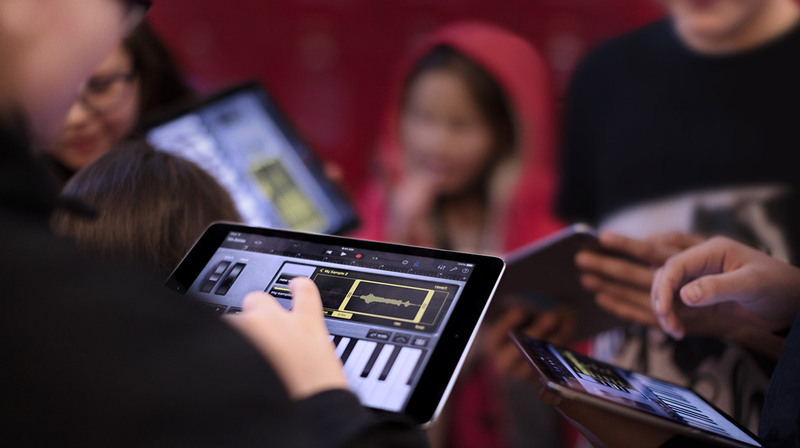 Using iPad, Mac and a variety of educational apps, students have a truly personal learning experience with the power and freedom to bring ideas to life.